VoIP Mobility is quickly changing the workplace. With new innovations in technologies and services, many workers are now able to access their work data/networks from their own mobile devices—i.e. smartphones, tablets, laptops, etc. With that, the workplace is shifting away from the confines of the corporate office, and towards new frontiers (home offices, mobile offices, etc.) As a result of this, the role of employees has also shifted. That being said, mobile VoIP and Bring Your Own Device (BYOD) adoption have played a big part in reconstituting the boundaries of the office. Currently, there are a number of services available to users that offer extended mobile function. As a result, users are able to access their full phone systems from a number of devices and locations. As such, both mobile VoIP and BYOD adoption have grown increasingly popular. While the workplace has already begun to feel the effects of these increases in mobility, how will these modes continue to affect the workplace? Currently, there are a number of mobile solutions available to users—i.e. mobile applications (Google Voice, Facebook Messenger, Skype Mobile, etc. ), Provider apps (Vocalocity, 8×8, RingCentral, etc. ), and softphones (Bria, Opera, 3CXPhone, etc.). With each of these, users are able to access their service and account directly from any device. While there are a variety of options, mobile VoIP is not the only factor reappropriating the workplace. BYOD adoption has seen a rise in popularity on a global scale. With that, it has played a large part in repurposing the workplace. BYOD allows users to use their own devices (smartphones, laptops, PDAs, etc.) to connect to the corporate network. 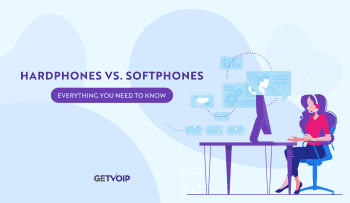 Though adoption has been slower than that of mobile VoIP, due in part by potential concerns and disadvantages, the advantages are irrefutable. That being said, users are now starting to see the mode’s value. With both modes’ offerings laid out above, it’s easy to see how both have lead to an overhaul of the workplace in terms of dynamic and function. Instead of having one rigid conception of the office, there are a variety of options available, including traditional corporate office spaces, shared rentals, temporary workspaces, mobile offices (for mobile workers), home offices (for remote workers), and co working spaces/communities. Now, the workplace can be more than just a 9-5 location. Mobile VoIP allows users to access their VoIP service anywhere from any device. Additionally, BYOD allows employees to use their personal devices (which they own), also making access available anywhere at any time. That being said, employees no longer have to be in a fixed office to access their company; therefore, the office is able adapt accordingly. For example, with mobile ready workforce, fewer employees are required in the main office. With less staff on hand, businesses can share office spaces to utilize cost efficiency and available space. Along with changes to the workplace itself, employee infrastructure has also changed. As touched upon above, extended mobile capability requires less employees on hand in office; therefore, many businesses allow employees to work from the road or from other remote locations (home office). 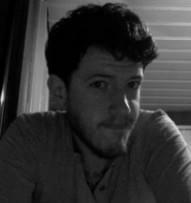 In doing this, users are allotted more flexibility with hours, which can help better meet certain customers’ needs—i.e. customers overseas. 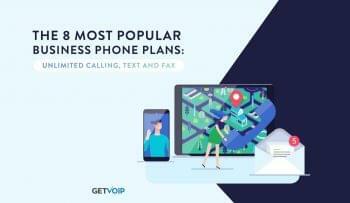 Though some businesses may fear a drop in quality, both mobile VoIP and BYOD fit users with the full range of use without any indication of the user’s location. 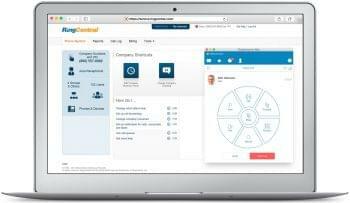 For example, if a customer calls a mobile worker, the call is seamlessly forwarded to the employee’s device—meaning the customer calling cannot differentiate whether or not the user is in a traditional office environment. Mobile VoIP has already seen a spike in popularity, which seems likely to continue. Juniper Research forecasts 1 billion mobile VoIP users by 2017. While many mobile apps and softwares are currently available, more are likely on the way. The same can be said for BYOD. As BYOD adoption has grown more popular, it has spawned BYOA, Bring Your Own Apps, which is the workplace’s allowance of users to bring in and use their own applications (mainly social, cloud sync, and storage apps). With that, users are able to further customize their work devices for their specific needs, leading to higher productivity and efficiency. Though mobile adoption is nothing new, many companies and providers have renewed their interest in the mobile sector as late. Look at Facebook, for example. While some businesses may be concerned with the risks involved with mobile access—namely security—there are a number of protocols available to ensure the overall security of the network. That being said, there aren’t many obstacles that look to stunt the growth of extended mobility. As this continues to occur, it seems likely that the workplace will continue to shift along with its employees.